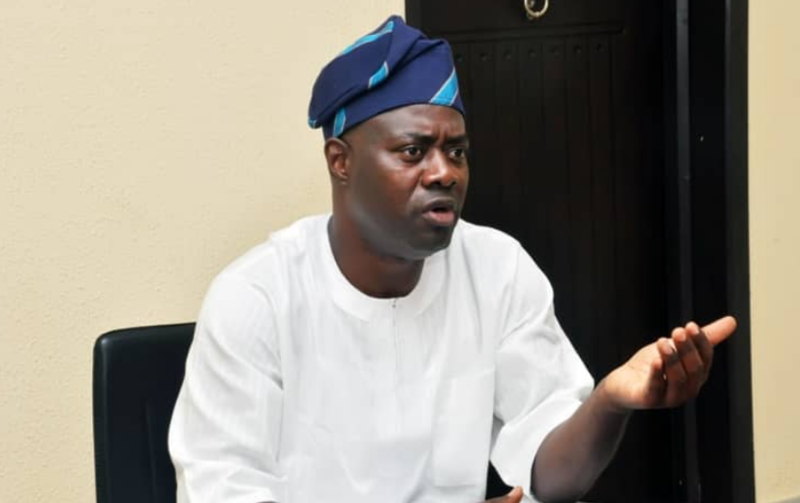 Former President Olusegun Obasanjo on Thursday advised the Oyo State Governor-elect, Seyi Makinde, not to run a Democratic system that would put the government of the state in his pocket. Obasanjo said Makinde has the onerous task of striving to transform the capital of former old Western Region, urging the people to keep supporting him to succeed when eventually sworn-in. A statement issued by Obasanjo’s Media Aide, Kehinde Akinyemi, said that the former president made the call when the Oyo State governor-elect visited him in Abeokuta on Thursday. According to Obasanjo, the love and votes of the people of Oyo State have ensured the emergence of Makinde, adding that their continued support was necessary to make him succeed as a governor. “He cannot do it alone and since you have supported him before and during the elections, you need to continue to be together to make him successful,” Obasanjo was quoted as saying in the statement. He urged Makinde to jettison the type of democracy that only targeted or benefited selfish interests of selected few. “You have a onerous task ahead in improving the status of the capital of the old Western Region and you have to work to unite them all. “You need to shun corruption, be transparent and embark on developmental projects which would be a delight to the people of Oyo State. “You need to give them something new, positive and the type of governance which delivers dividend of democracy at their doorsteps,” Obasanjo said. Earlier, Makinde said he was in Abeokuta to appreciate and seek wisdom from Obasanjo. “The elder statesman has challenged me to improve on the state. “There is lot to do and having been prayed for by Baba, we are going with vigour to turn the state around for good. “I will be coming here from time to time to seek for further wisdom from him,” the statement quoted Makinde as saying. According to the statement, Makinde’s visit was facilitated by Chief Olabode George, former Deputy chairman (South) of People’s Democratic Party (PDP). The statement also said that Obasanjo had earlier on Thursday played host to former Vice President Atiku Abubakar, presidential candidate of the PDP in the February 23 election.